Piano/Vocal songbook (Piano/Vocal/Chords. Arrangements for piano and voice with guitar chords). 436 pages. An absolute must for all Broadway Musical lovers. 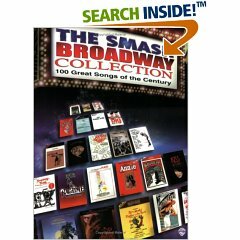 This collection contains historical sheet music photos and biographical information from 40 Broadway Musicals!